*Very high speed and resolution: 300 MB raw data per second! This scan back 6x17 camera is extremely fast. The image results are comparable to a one-shot digital or film back. This is possible thanks to a very high read-out speed of 300 MB per second - 100x faster than for any existing scan back. The fastest exposure speed is 1/20'000 - or one second for the entire 6x17 scan at full resolution! 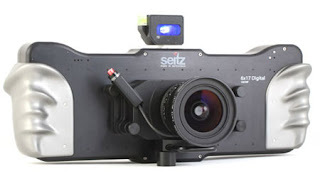 Compared to previous surface sensors, the sensitivity of the Seitz D3 sensor is significantly higher. Or compared to conventional scanning cameras, the sensitivity is increased by factor 100. This results in a very broad ISO/ASA range (equivalent) of 500 to 10,000, which makes this camera the perfect instrument for virtually all light situations. Our new stage selection technology allows to control sensitivity by selecting smaller or larger areas of the sensor. This means: additional sensitivity without any additional noise! We designed this camera to meet the expectations of those photographers who like to take their equipment on exploratory adventures. All components are fully modular - the tablet PC (control, display and storage device) can be adapted to your specific needs. The camera can also be used in the studio, running the software from a computer (Mac, PC, Linux) via gigabit ethernet connection. For best image results we recommend using the advanced Schneider or Rodenstock lenses on a Seitz lens board. Another possibility is to use large-format lenses of existing 6x17 panoramic cameras such as Linhof Technorama, Fuji and others. 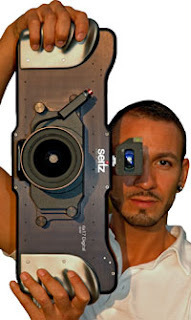 These lenses are connected to the Seitz camera on an optional adaptor plate. All lens types and brands can be interchanged without any restrictions.
""" * İLGİNÇ * """
Söze gerek yok, canım TÜRKİYEM...!! !